It’s been something like 10 months since I got my iPhone and they have done a good job updating it and fixing the problems that arise with the phone and adding new features. These range from general security patches to big features like the iTunes Store and GPS for Google Maps. I could talk for days and days about all the features of the iPhone and exactly what I like and dislike about each one – but that would take way too long and be boring…so I’ll just make a list of my 5 favorite things so far. Yeah ok so text messaging isn’t anything new and it’s most certainly not exclusive to the iPhone, but it’s the way that the iPhone handles texts that is impressive and pleasing to me. One of the iPhones weakest points is also it’s best. 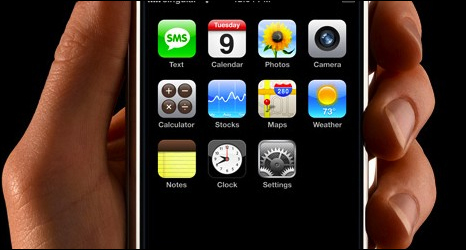 With the iPhone’s text messaging you cannot send or recieve multimedia text messages nor can you forward a text message. It keeps the text messages organized by conversation. This means that you don’t sift through the text to find out who it was from or worry about getting crossed up and sending it to the wrong person (although it doesn’t prevent that from happening…unfortunately…). 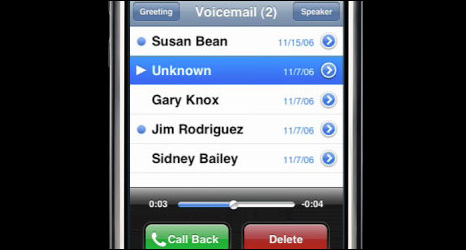 A lot of people were complaining about the lack of an instant messaging system when the iPhone first came out and kept referring to the current text messaging application as the “broken instant messaging app”. Just because it looks like iChat doesn’t mean that it performs the same functions. 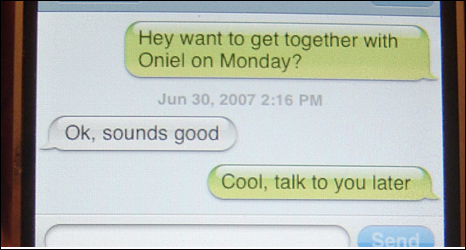 Texting on the iPhone falls short in a lot of places but is also one of my favorite applications on the phone. I had an iPod I used all the time before I got my iPhone. Problem with it was that it was a 2nd gen. iPod. This thing couldn’t play any videos, share pictures, or have any of the features that the newer iPods had. I couldn’t download music videos from the iTunes store and put them on my iPod (like I do that anyway…) and I couldn’t watch TV episodes in the car or on the plane. All that changed when I got an iPhone. It’s a full fledged iPod with Cover Flow (you know, the album cover view in iTunes?) and video playback. With a widescreen instead of the little 2″ screen on an iPod I can actually watch a movie on it without a whole lot of eyestrain. Another perk to the iPhone is that you can use the iTunes Store application to download new CD’s without even syncing it with a computer. The only downside to the iTunes Store app is that you have to be in range of a wireless network to use it. I can understand this as Edge isn’t the fastest mobile network in the world and I’d probably be pretty pissed if I saw that it was gonna take 35 minutes to download a song. Watching videos and album downloads on my phone are cool and all, but being able to carry around 8gb of music on my phone is always a good thing. 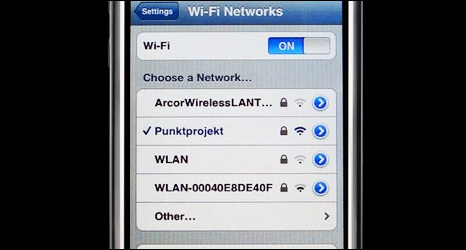 How about the ability to connect to wireless networks when you’re in range of one? The Edge network isn’t the fastest thing around and it certainly makes pages load faster when you’re connected to an 802.11 wireless network. 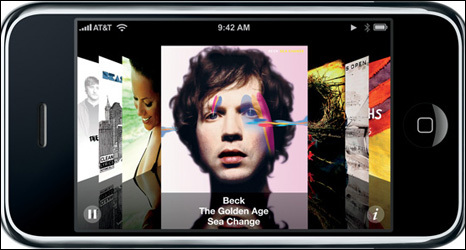 It also opens up new options like the iTunes music store which lets you download albums and songs directly to your iPhone without having to dock it or sync it with a computer. Wifi on a cellphone isn’t a new thing and it’s not exclusive to the iphone but it’s a feature that the iPhone would be seriously weak without. 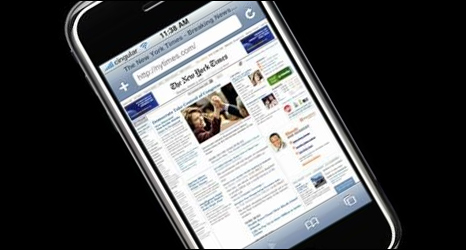 The browser on the iPhone is by far better than any other browser on any other smart phone on the market. Due largely in part to the touch surface of the iPhone and the ability to pan and zoom at the flick of a finger, Safari on the iPhone is a “full fledged browser on a mobile phone.” Ok so I don’t know about full fledged…I’ve had some trouble with a few AJAX scripts not working properly on the iPhone and it doesn’t have any sort of Flash player at all…it’s still leaps and bounds better than what’s already out there. The Edge network is acceptable and will suffice when you’re riding in a car or looking up something quickly on Wikipedia or Google, but I sure am glad it comes with Wifi to speed things up in Safari. The browser and internet capabilities of the iPhone are by far the greatest feature on the phone. 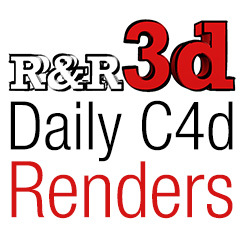 Hopefully the team over at Adobe will be able to muster up a flash player once the SDK is released.